This is a smaller bunker used in the support of the command and control of the Lossa Soviet area. It was used for communications and message tx/rx. The bunker is in reasonable condition with lots of wiring and signs remaining. The fabric of the bunker is in quite good condition as it was sealed up very shortly after the troops withdrew. 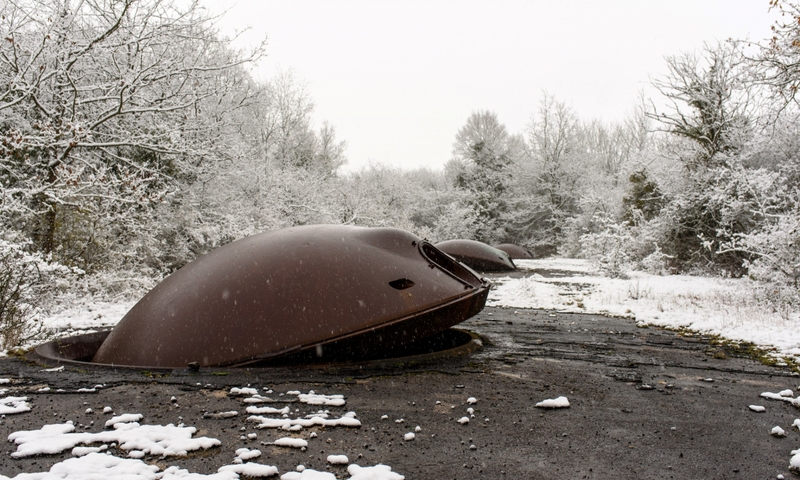 These bunkers were easy to hide aswell once the entrances were covered with earth they were often lost from sight. Whilst walking in the woods here we found a spent Soviet RPG, so watch where you step.